I envisioned us, shortly after our arrival, standing on a mountain here in Guatemala and listening to that song, really feeling all the meaning of the words. But that didn’t happen. Instead, when we arrived, I was incredibly overwhelmed. I did recall this dream of mine a few times, but always with the thought that it was too much to do, too much to consider. Now that we are a couple months in, I could probably do it, but I don’t feel it in quite the same way. Where once I saw this as the end point–the end of fundraising, the end of language learning, an achievement–I have discovered that it is truly only the beginning–the beginning of our work, the beginning of relationships, the beginning of a growing trust in God. Rather than looking back, I feel the need to look forward and grow my faith to a “trust without borders.” Coincidentally (or not), we were introduced to a song with those words in language school, and it has since played repeatedly on my Spotify playlist here as well as at a couple public places we have visited (in both English and Spanish). Wherever we are, it is true that we are and never have been alone, and that is a great encouragement, but my focus needs to be in the other direction. Looking forward, looking to grow in whatever way God has for us. Trusting HIM to keep me above water when sinking into myself seems so much easier. The more I focus on this, the more I see the extent of God’s faithfulness to us each and every day. 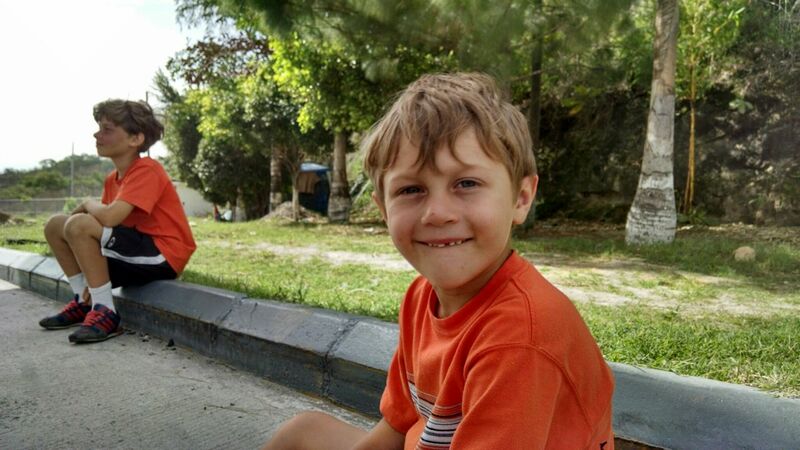 As of today, we have been in Guatemala for two whole months! And on Friday, we will celebrate our one-year anniversary of leaving the U.S., I thought it was about time to update this blog. If you would like to be updated more frequently, you might want to sign up for our newsletters (see sidebar) as we try to get one of those out every 4-6 weeks. Or you could check out our Facebook page which gets mini-updates from time to time (you can view this page even without a Facebook account). 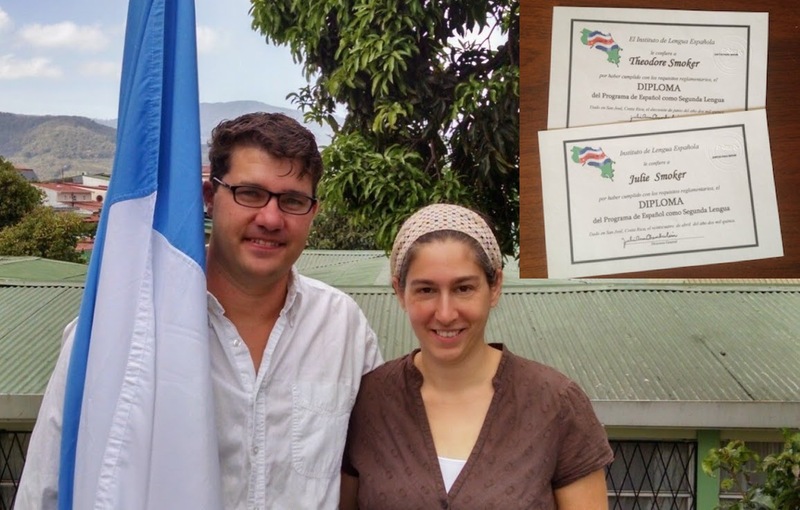 Ted and I graduated from language school after two semesters in late April. 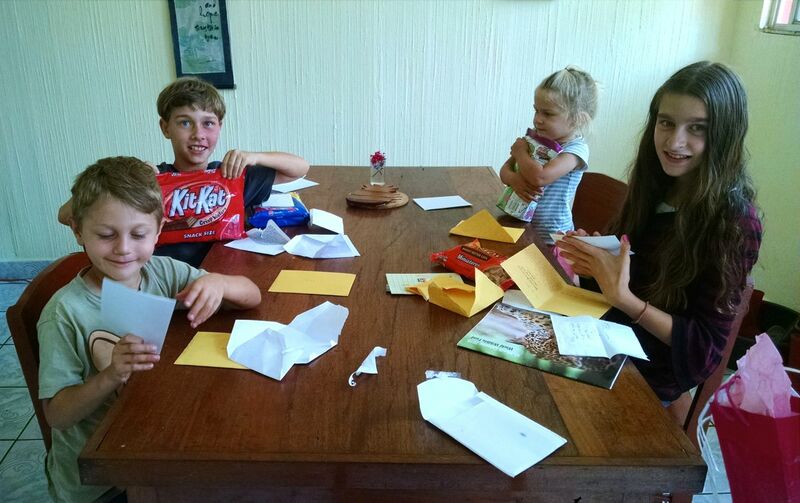 Ted continued some classes/tutoring for 6 weeks until the kids’ school year finished in early June. Both of us received diplomas, which are only given to those students who are able to meet a certain level of achievement demonstrated through a half-hour oral interview and a 3-hour written grammar test. Unfortunately, that doesn’t translate directly to entering another culture and understanding everything that is said or done! 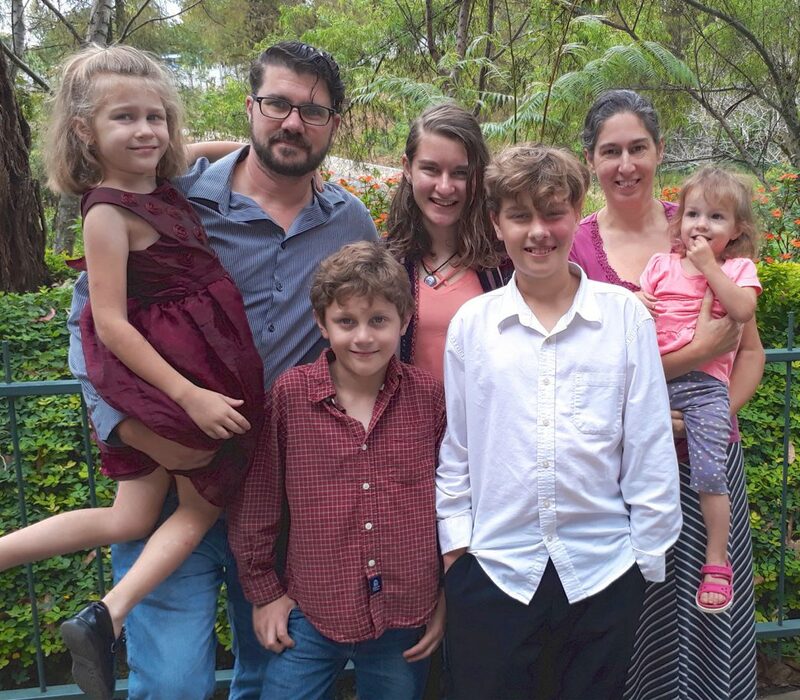 We arrived in Guatemala the evening of June 18 after another round of rushed good-byes with many special friends we had made in the previous 10 months. 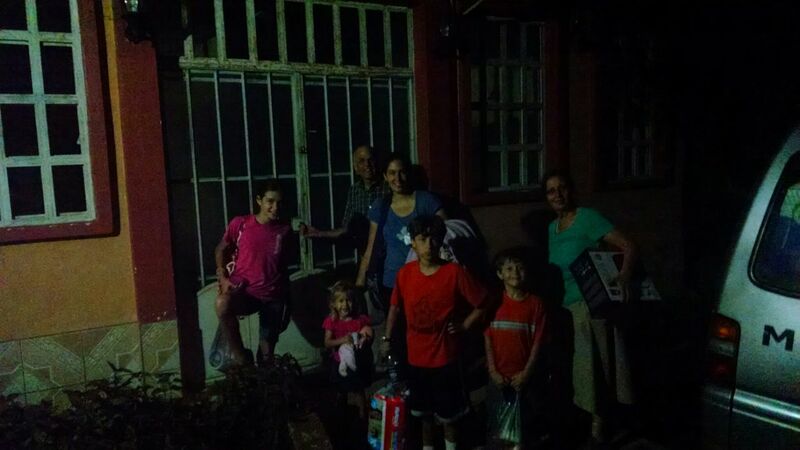 God truly used our time in Costa Rica to bless us and prepare us. The relationships we made there with so many others in such similar circumstances will be treasured forever. 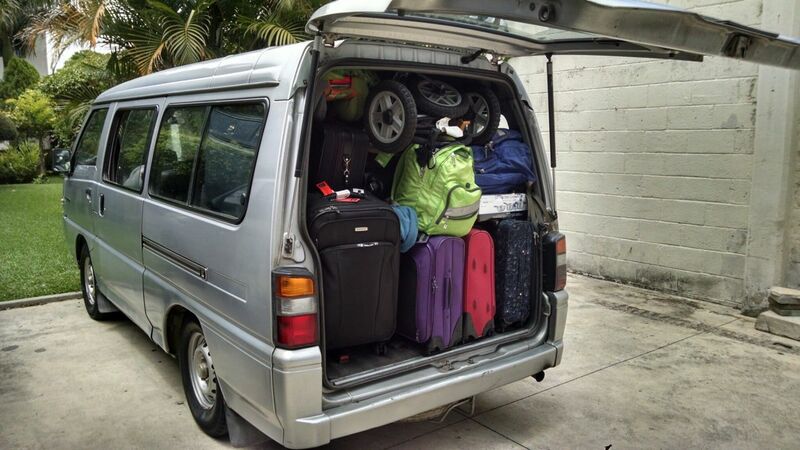 All our belongings…in the back of one van. We’re home! After 30 hours of being homeless. 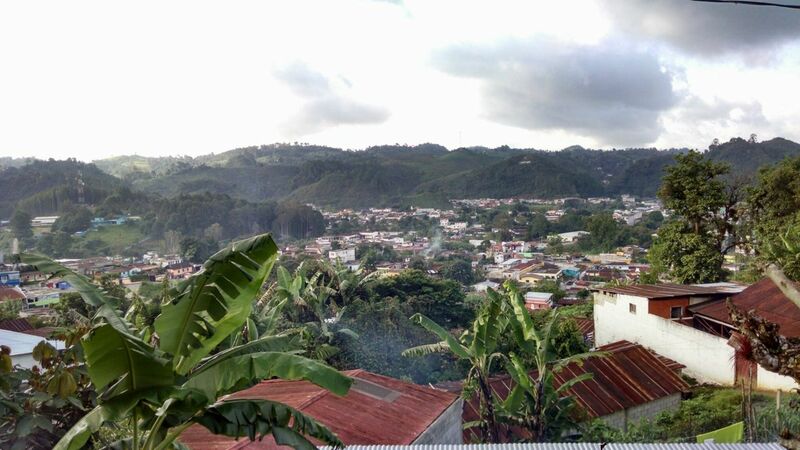 After doing a bit of shopping Friday morning in Guatemala City for some things to set up our new house, we drove the 5-hour trip to our new home–San Pedro Carcha, Alta Verapaz, Guatemala. We are truly blessed by our house here which came available in perfect timing. It has room for Ted to study with a Kekchi tutor downstairs while I continue to do school with the kids upstairs and even has a walk out roof from which we often enjoy the surrounding country. We spent our first weekend here visiting the Kekchi Mennonite Church and other surrounding places with Galen and Phyllis Groff, our regional representatives with EMM, who had lived here for 20+ years. Monday morning, Ted, Galen, and I headed back into the city to return the rental van, pick up some more things for the house and buy a vehicle for our family. 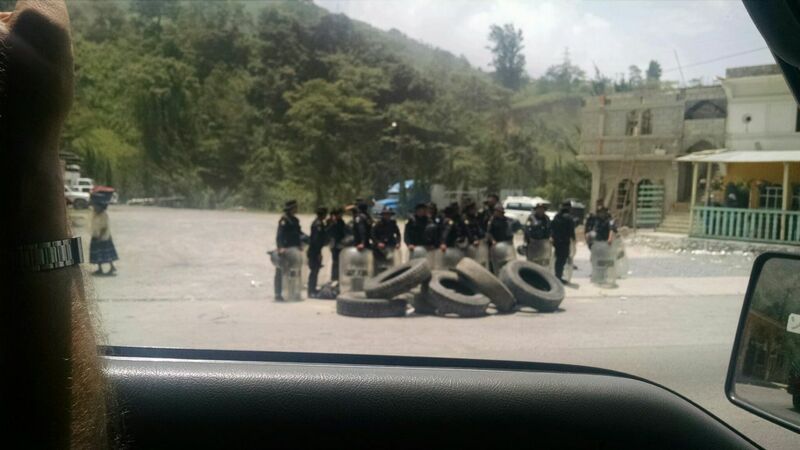 What was to be a one-day trip turned into an overnighter when we ran into a protest blocking the road partway to the city. It delayed us several hours. Phyllis stayed with the kids and was a true blessing to us and them. After accomplishing the needed tasks we headed home. I have never outfitted a house entirely from nothing before, so our first several days were quite overwhelming as I determined our needs and where to find things here or in the city. What was left from the protest by the time we passed. 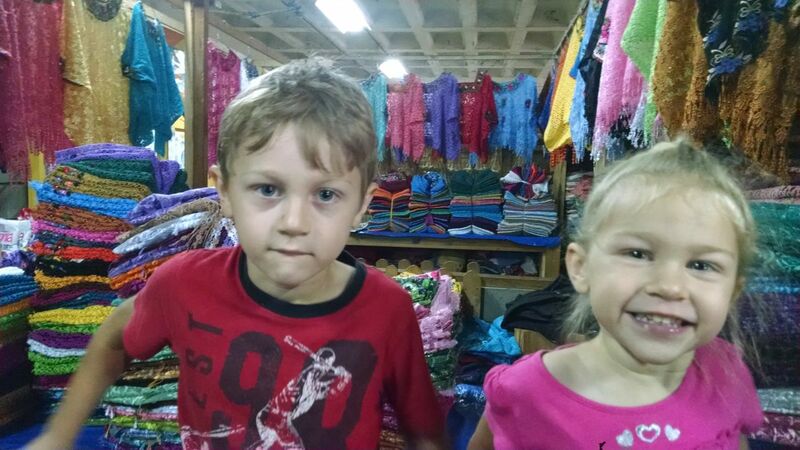 After a few more days of showing us around various local spots, Galen and Phyllis left to return to their home in Belize, and we were on our own! God has been faithful and we are slowly building confidence and relationships in our community. Phyllis introduced me to a Kekchi sister from church who has been helping us learn to navigate the market and local foods as well as helping me learn a bit of the Kekchi language. I was too overwhelmed at first to take in much of yet another language, but am starting to pick up more words now. Ted visited a coffee nursery as part of the conference. Ted dove right into studying Kekchi and has had two different brothers offer to come to our house weekly to work with him. He also has had a couple opportunities to drive local church leaders out to villages they needed to visit and thus gain relationships and understanding of the area. 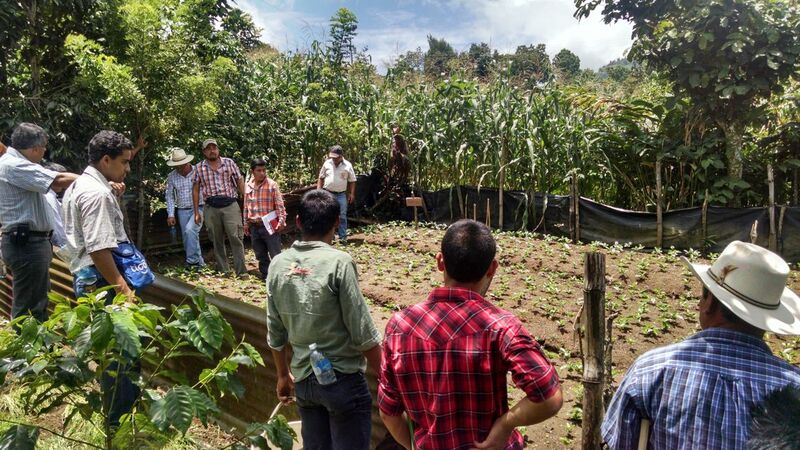 Last week he attended a teleconference in nearby Coban (15 minutes from here) put on by Anacafe, the main coffee growers association in Guatemala. Fellowship time outside the church after a Sunday service. The local church has services in Spanish with a Kekchi translator for most of it. 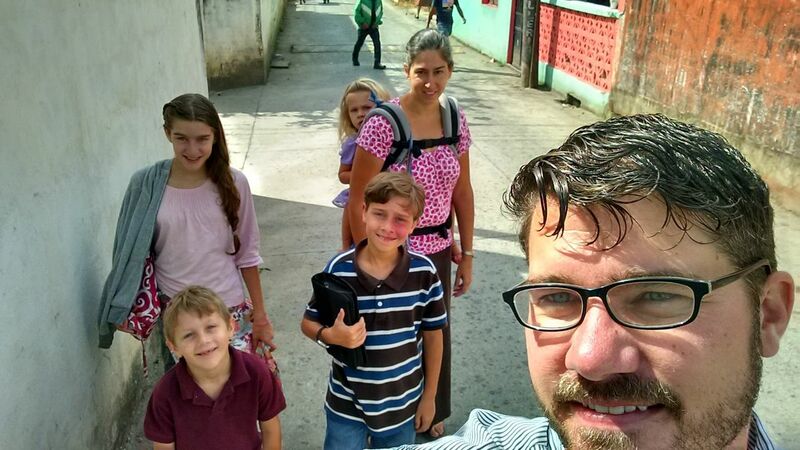 It took the kids a couple weeks, but they now look forward to going to their Sunday School classes each week. The services are something new for us to get used to. The churches in Costa Rica mostly had services very similar to those we were used to in the U.S., down to using the same hymns/choruses just in Spanish. The Kekchi have developed their own personal style of worship and music. It is good to see them worshipping in their own way and not just copying the North Americans, though it does make it more challenging for us to pick up on things. The kids are adjusting. It has been rough in some ways as they haven’t had a built-in source for friends at school. 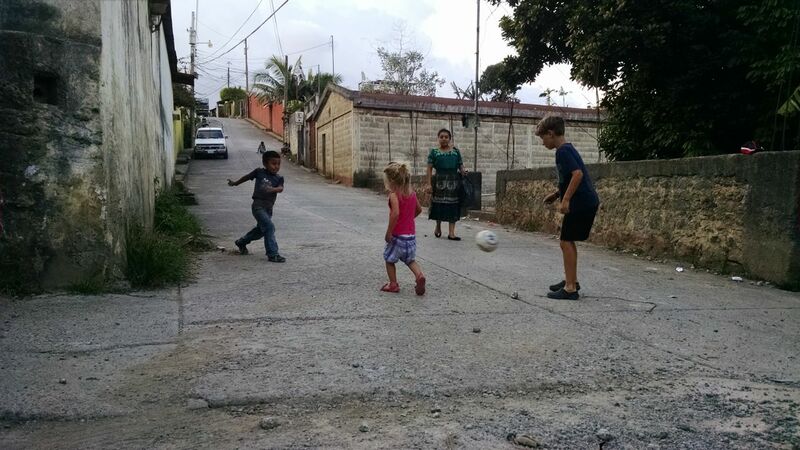 Cub and Chimp have enjoyed playing soccer with some kids down the street, and Rosebed has made herself a favorite of both our next-door neighbors and the ladies in the tortilla shop down the street. Daisy really enjoys the nature here and all the new bird and flower species that she has seen. A package from home can brighten up even the worst day!! 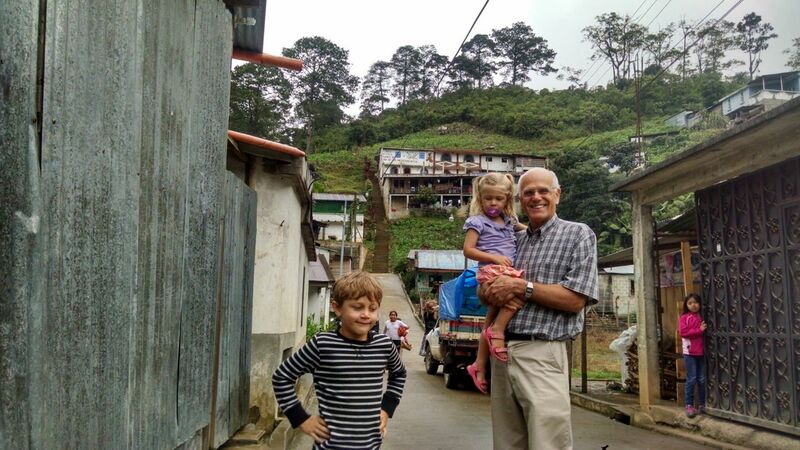 This week we are taking our first trip back to Guatemala City. 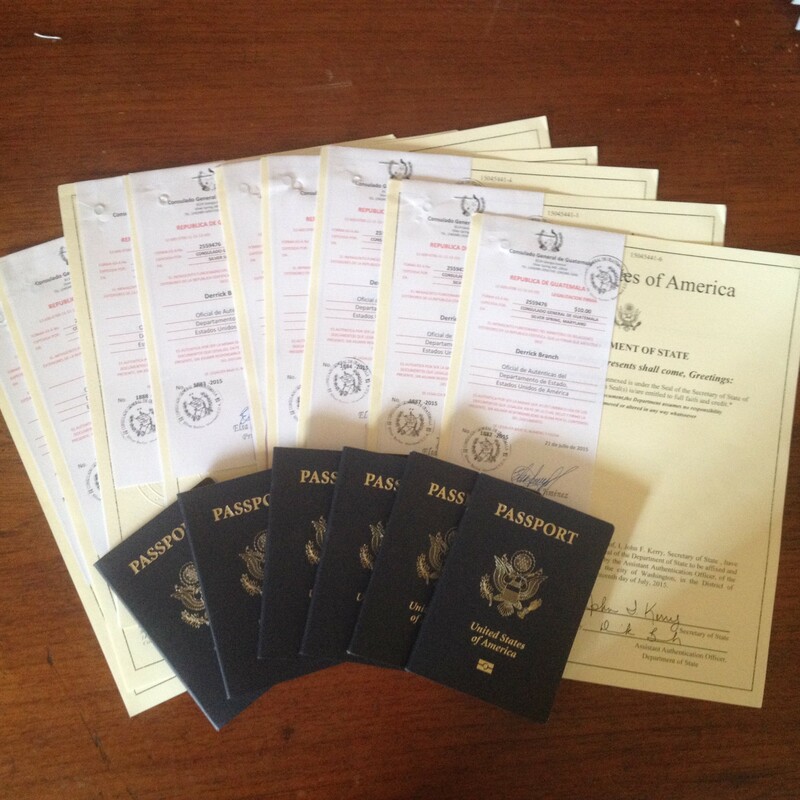 The documents for our permanent visas have arrived and we need to get that process started. 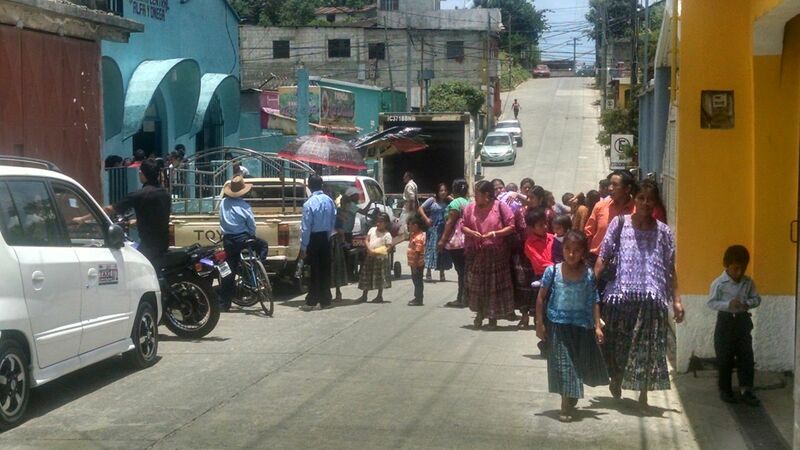 The MCC office in Guatemala has agreed to help us with this process and have been a blessing in helping us figure out what all we needed and where to get it. Now we need to get everything to the City so it can be translated and go through some more levels of authentication before we can actually apply. We would appreciate prayers for this process. We can renew our tourist visa one time, giving us until December. If we are not far enough in the visa process by then, we will need to travel to either Mexico or Belize to gain another 90 days.